It’s been a while since I have written about the importance of the BAC result in Michigan DUI cases. In this article, I want to take another look at the role of a BAC result in an OWI (Operating While Intoxicated) case. To begin, I need to make clear that this is not an article about High BAC drunk driving charges. Sometimes called “superdrunk,” the High BAC charge can (emphasis on the word “can”) be brought when a person’s breath or blood test result following a drinking and driving arrest is .17 or more. I have handled cases that have been charged as High BAC when the BAC result is right at .17, and I have handled cases where a person’s BAC was way above that (including a very recent case with a BAC of .24) where an unenhanced OWI 1st offense was charged instead of the more serious High BAC. The point I want to make in this article is that, independent of the offense actually charged, the BAC result is extremely important in every DUI case, and will have a direct impact on how things ultimately work out. For everything that can be said, the bottom line is that the higher a BAC result, the more it “looks” like a person has a drinking problem. I put the word “looks” in quotes because that’s exactly what we have here – a kind of general appearance that almost automatically gives rise to a not-quite accurate conclusion. The absolute fact of the matter is that different people have different tolerances to alcohol, and while anyone with a .18 BAC is certainly really drunk, there are some people who couldn’t drink that much if they tried, and would pass out first, while there are others who could ingest that much and still keep going. In other words, an elevated BAC result is not always reflective of a tolerance to alcohol developed by excessive and problematic drinking. This isn’t just opinion, either, it’s a clinical reality, although one that is largely ignored by conventional thought and runs counter to the court system’s inherent “alcohol bias.” Indeed, so that I could more fully understand these important nuances of the development, diagnosis and treatment of alcohol problems, I went back to graduate school, as a lawyer, and completed a post-graduate program of addiction studies. Everyone will have an opinion on the subject, but the reality is that people with higher BAC results will always be seen as more likely to have a drinking problem, even if they don’t. Opinions, however, no matter how strong they might be, must always be subordinated to cold, hard facts. Yet as much as it is a fact that not everyone with an elevated BAC result has a drinking problem, it is also a fact that such a result often does signify that a person has at least some kind of issue with alcohol. In other words, we cannot go and lose all credibility by declaring that BAC results are simply meaningless, because they’re not. Moreover, given how important BAC results are considered by the court system as a whole, it is critical that we proceed diplomatically and in a way that carefully and skillfully differentiates those for whom an elevated BAC does not, on a single occasion, signify a troubled relationship to alcohol. Success in this regard can only be had by first understanding how and why the BAC result is considered so significant. To fully appreciate how an elevated BAC result is perceived in a DUI case, you must also examine how a lower result is seen, as well. Nowadays, BAC results of .08 to about .12 are typically not considered too high. From about .13 to .16, a person is likely to be seen as able to drink quite a bit. Of course, .17 and above trips the legal standard for the “High BAC” charge, and any BAC above .20 is and always has been seen as both very drunk, and a big drinker. When a person shows up with a BAC of .24 or higher, he or she is absolutely pre-judged as having an alcohol problem and a high tolerance to alcohol developed by heavy drinking. While anything is possible, and it may not always be the case, it becomes statistically far more likely that, the higher one climbs on the BAC result scale (especially when that result is greater than .20), the more likely the person is to be a problem drinker. From my experience, a much higher percentage of people with really high BACs will openly admit, often without even being asked, that their drinking has become a problem. But not everyone. Some people will insist that they don’t drink too much, despite their BAC result, and not all of them are wrong. For that matter, not everyone with a low BAC is a normal drinker, either. It could be that Lisa the Lush started her evening’s drinking at one bar, and was headed to another, about halfway into the night, when she got pulled over and tested out as a .12. As a DUI lawyer, I have to make sure that no one (and especially the Judge) ever loses sight of the fact – and the key word here is fact – that a BAC result is often indicative, but never, by itself, dispositive, of an individual’s relationship to alcohol. And yet, you can be sure the moment I get a person with a BAC result of .08, or .10, or even .12, I’ll be the first to skip all that and start reminding everyone that “conventional thinking” does not see such a result as an indication of any kind of problem. At the end of the day, you pay your DUI lawyer to make things better for you. I often point out that success in a DUI case is Judged by what does NOT happen to you. When I have a case with a lower BAC result, you can bet I’m all over that. On the flip side, when my client has a higher BAC, I’m explaining to everyone that matters that, clinically speaking, a single BAC result is almost never a consideration in assessing whether or not a person has a drinking problem. Here again, we have to circle back to the reality that the court system sees an elevated BAC as evidence of problematic drinking. Even in those cases where that assessment is correct, if we properly control things, we can avoid getting “hammered” by the Judge. I have often noted that the best results in DUI cases come from combining a thorough knowledge of the facts of the case and the relevant law with the skillful management of perception, science and time. That’s not a bunch of hot air, either. Think about what that means for a moment, and you’ll understand. 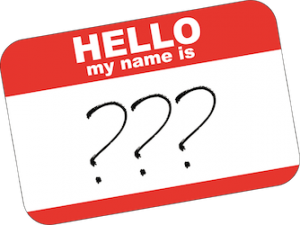 Whatever else, you have to step into every DUI case with the knowledge that your BAC score is kind of like a label, or one of those stick-on “Hello, my name is ____” name tags that announces to the world who you are. In the court system, before you are never seen as Mr. Between Jobs Guy or Ms. Corporate Vice President; instead you are seen as Mr. .11 or Ms. .22, and that number will define you, at least initially, more than anything else. My job, of course, is to make sure that you are defined as helpfully as possible, and that may mean distancing you from that .22 BAC, or it may mean calling attention to all the implications of a much lower result. No matter how you cut it, and however the chips may have fallen, the BAC result is an important number in every DUI case. It is important to deal with it properly, but you can’t even begin to do that unless and until you understand how the fundamental role that those two digits play. If you are facing a drinking and driving charge in any court in Wayne, Oakland or Macomb County, I can help. Do your homework. Read what other lawyers have written. When you’re ready to make further inquiries, pick up the phone and call around. You can reach my office Monday through Friday, from 8:30 a.m. until 5:00 p.m., at 586-465-1980. We’re here to help.